From a hillside Italian village to an economic club, southeast Michigan students are reaping the fruit of generations before them who wanted to give back. The Community Foundation has a rich history of providing scholarships to students from all walks of life and all communities in southeast Michigan. 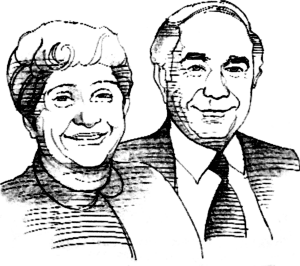 Scholarship funds have been established by entities such as the Detroit Tigers, the Detroit Economic Club, and by families such as Enrico and Marie Vespa, former owners of the famous-to-the-region English Gardens. Enrico Vespa immigrated from the tiny Italian village Bagnoli del Trigno to the U.S. as a 16-year-old in the early 1920s. Marie Vespa was born in the U.S. in 1928 to parents who had immigrated separately from the same village as Enrico. Despite getting their start in the U.S. in the auto industry, the Vespa family had an agrarian background and, soon enough, destiny redirected them from the auto industry and back to the earth. In 1954, a fruit and vegetable stand owned by a man named English went up for sale. Enrico Vespa and his brothers-in-law bought it and the rest is history. The second generation of Vespas now runs the 64-year-old English Gardens, which features five retail centers in southeast Michigan. After Enrico’s death in 1990, the Vespa family got together to discuss how to honor his memory. The Vespas initiated the scholarship program in 1996 as a way to honor both parents. Janosz still co-owns English Gardens and, along with other community leaders, she participates in selecting recipients for the Vespa Scholarship Fund. Since its inception in 1995, the Community Foundation’s Enrico and Marie Vespa Scholarship Fund has supported more than 86 scholarships. The scholarship is awarded to employees or children of English Garden employees. A computer science student who has worked at two store locations and runs his own gaming tournament. A nursing student from a single parent home who is paying for college and has made the Dean’s List the past two years. A health care management student who was captain of her school’s softball team and a member of the National Honor Society. An engineering student who works with a mechanic, teaches neighbors basic mechanics, and is on his school’s Dean’s List. demonstrate strong academic performance, and special consideration is given to students who have overcome hardships to achieve their personal and educational goal. 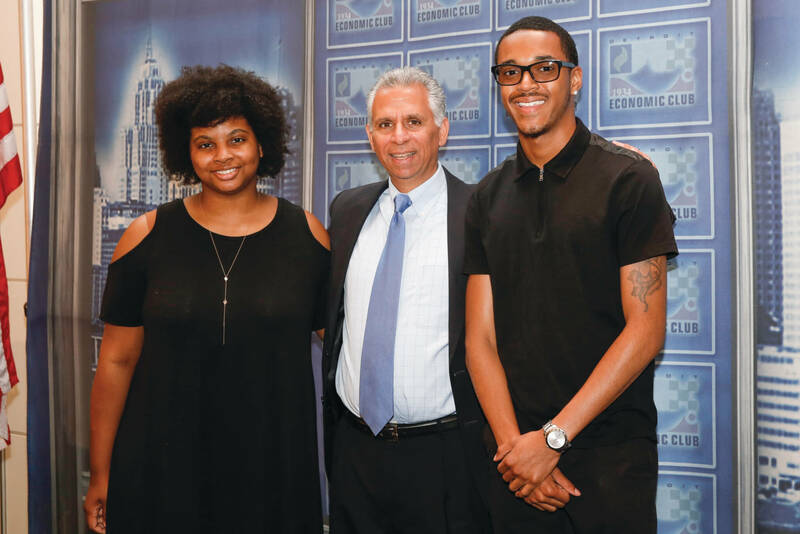 Since 2006, the Detroit Economic Club Scholarship Fund has provided 163 scholarships to Detroit-area students. This is a renewable scholarship, meaning students can renew their scholarship every year for four years of college, as long as they remain in good standing. A graduate of Detroit’s Renaissance High who is active in his school and community, competitive golf, basketball, and baseball. He will attend Michigan State University in September, majoring in information technology. A graduate of Detroit Collegiate Preparatory High School who grew up in foster care. Now a legal adult, she lives on her own in an apartment, works the front desk at a hotel, and bought a car, all while maintaining high grades, taking a challenging course load, and being active in school. She will major in social work at Wayne State University. A sophomore at Michigan State University studying criminal justice who is well ahead of her first-year credit completion targets from taking college credits in high school. A sophomore at the University of Michigan pursuing a degree in nursing. A Deferred Action for Childhood Arrivals (DACA) student, she wants to increase racial and ethnic diversity in the medical field. An electrical engineering junior at Michigan State University looking to pursue a career in biomedical engineering. A nursing junior at Western Michigan University who is active in Residence Life and an honors fraternity. She is interested in becoming a nurse practitioner. A mechanical engineering senior at Western Michigan University, member of Alpha Lambda Delta Honor Society, and former intern at Fiat Chrysler in 2016 and 2017. He is interested in designing parts for an automotive company.